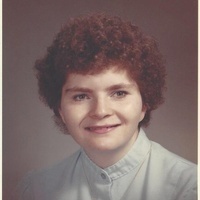 FRAMINGHAM – Jacqueline Margaret Poole, of Framingham, died on February 24, 2019 at her home. Born in Boston, she is the daughter of Donald A. and Cynthia (Whinham) Poole. Jacqueline graduated from Framingham South High school in 1985. She was an avid Red Sox Fan and never missed a game. Besides her parents, Jacqueline is survived by her brother, Alan C. Poole and his wife Robyn L. Schneider of Framingham; aunts Marianne Keefe of FL and Jeanette Arlington of Canton; nieces and nephews, Charles T. Poole and his wife Samantha (Gould) of Framingham, Alexandria N. Poole of Framingham, Emylee E. Poole of Holliston, Samantha V. Poole of Framingham and great niece, Abigail R. Poole of Framingham. She is also survived by her friend “Aunt” Carmel Moynihan of Waltham and several aunts, uncles and cousins in England. In addition to all her relatives she is also survived by her beloved dog Beau. A funeral service in celebration of her life will be held on a later date.